There’s a cute information card on top of the items. 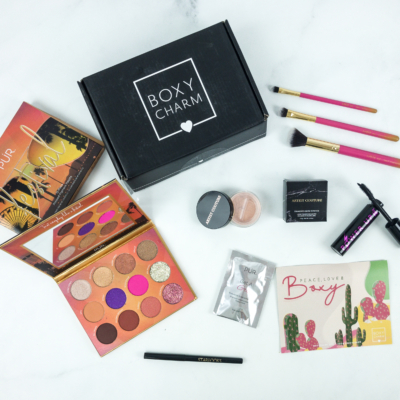 Everything in my March 2019 BOXYCHARM! 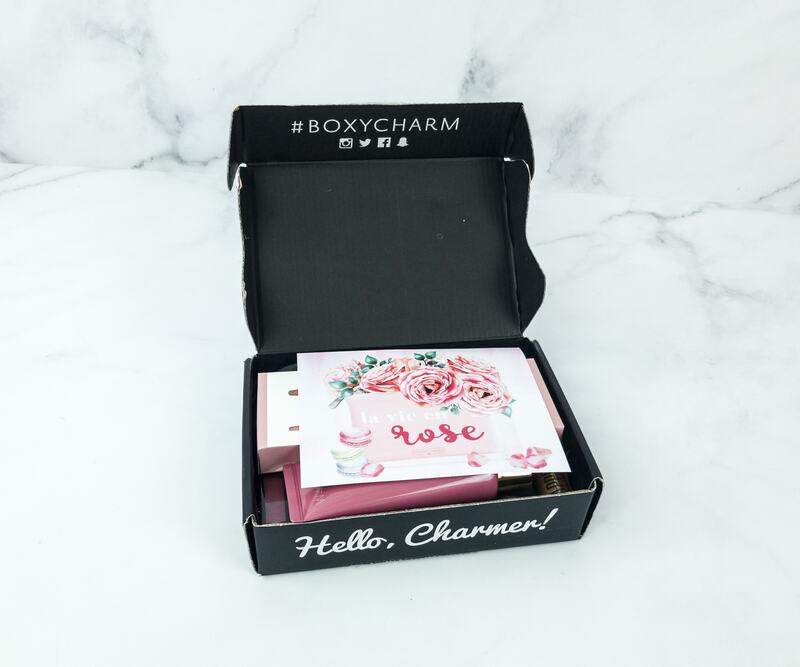 There are variations in the box – see them here. 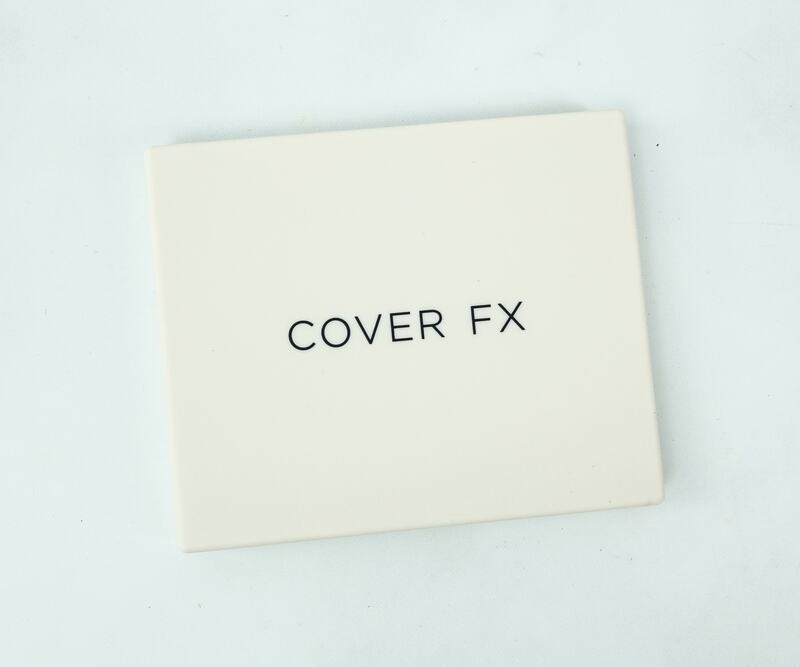 Cover FX Perfector Face Palette ($45) Wow, a 6-in-1 palette! I like it because it has all I need for different charming looks. Now I don’t need to take separate palettes with me. No more bulky pouch! 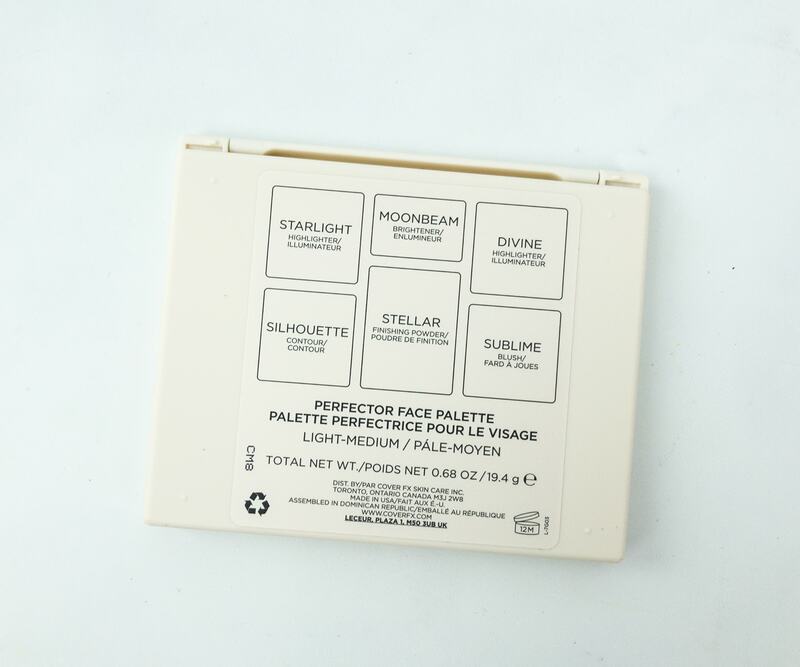 This palette offers six amazing shades of complexion essentials: Starlight, Moonbeam, Divine, Silhouette, Stellar, and Sublime! It’s so gorgeous! 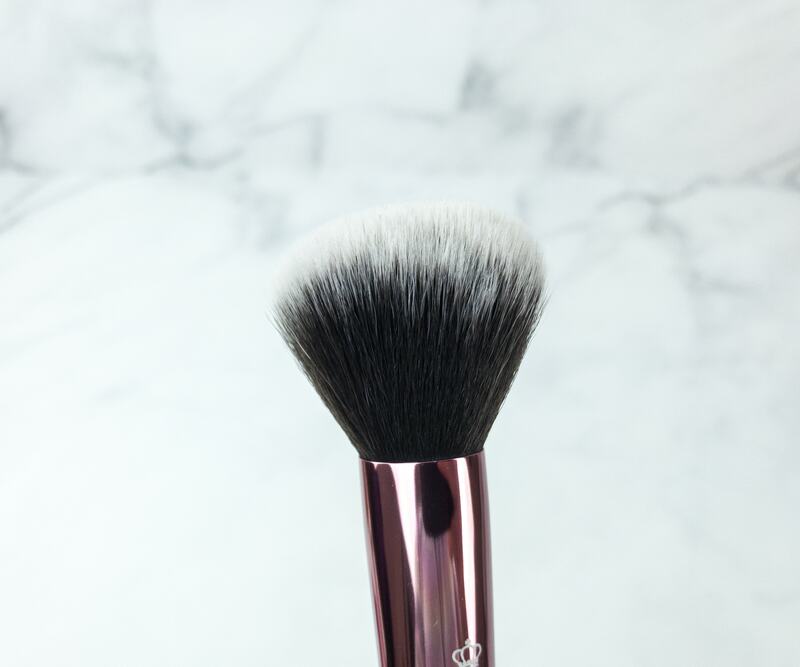 Now I can sculpt, illuminate, and find my perfect finish with ease. These will help me get that multidimensional look everywhere I go. 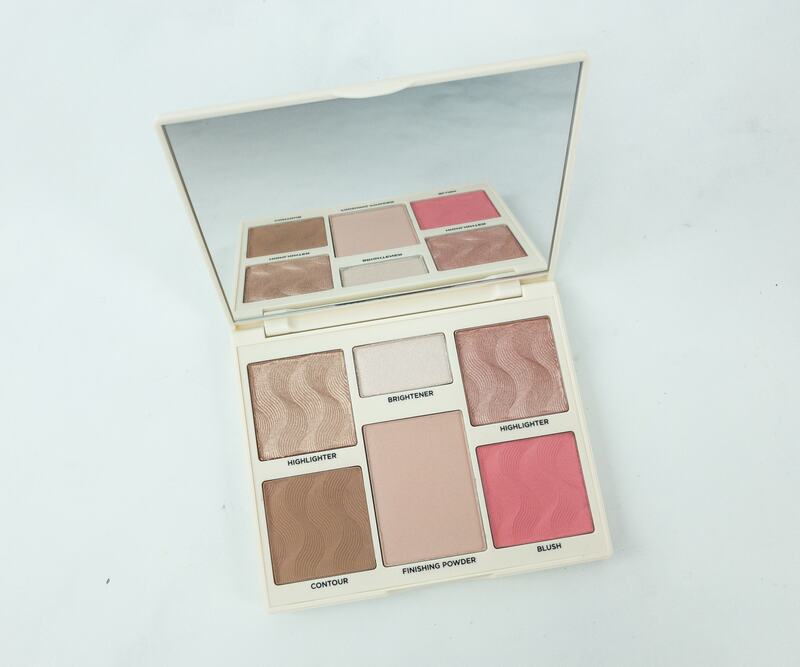 They are all highly pigmented, especially the blush. I just need to swirl my brush and dab away. 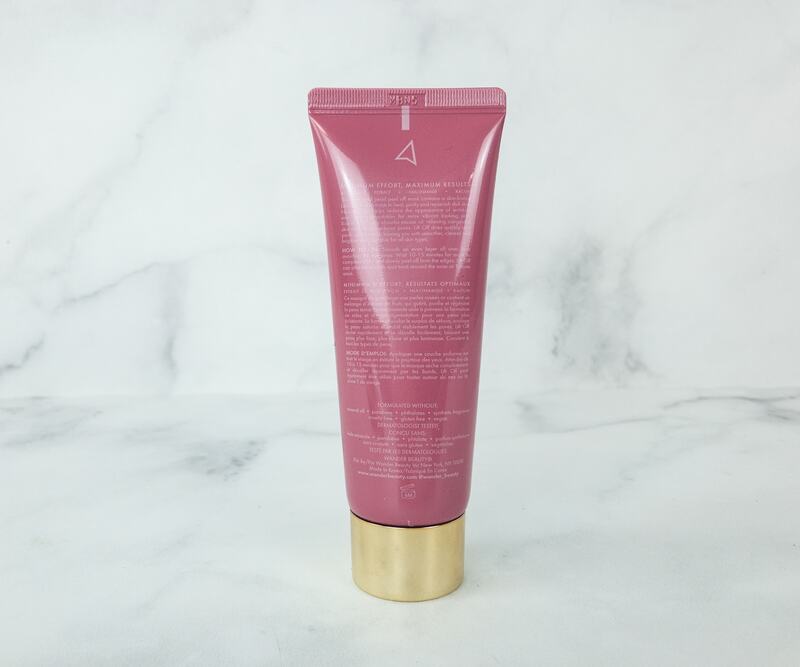 It’s also a clinically tested vegan and cruelty-free product that is perfect for all skin types. All subscribers will receive this item! 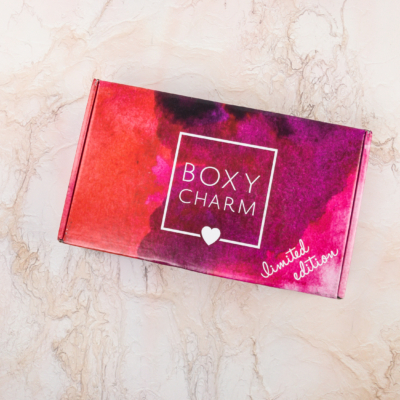 Unlike in my Boxyluxe that didn’t match my style profile, I received this in the correct shade! 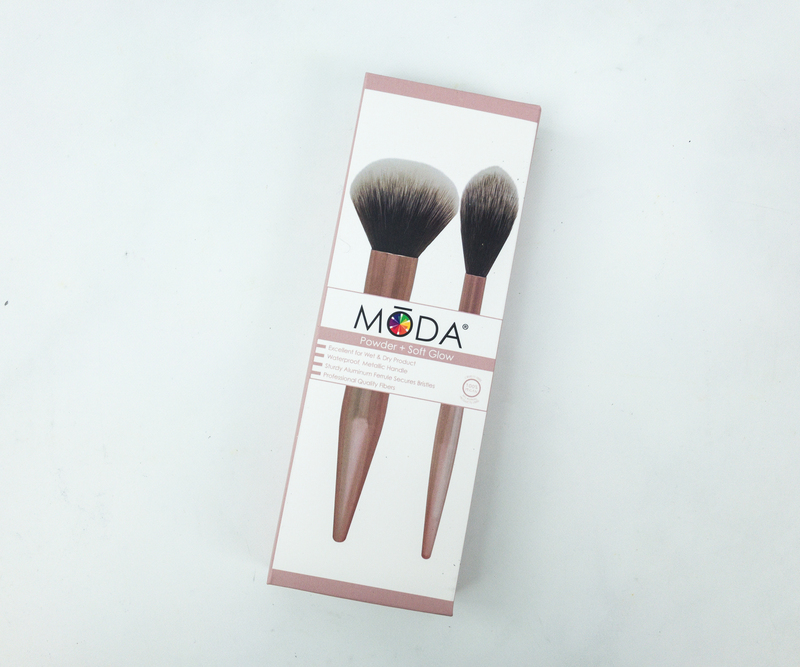 MODA Brush Powder and Soft Glow Kit ($29.99) It’s a pack of professional brushes that are both applicable for wet and dry products. One is a powder blush and the other is a soft glow brush. 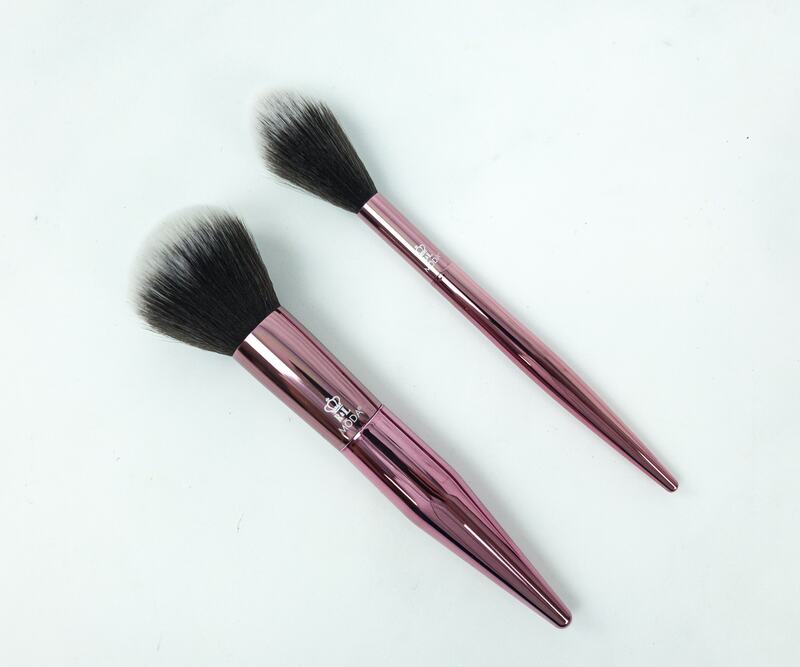 These power brushes are both designed with elegant rose gold tapered handles and synthetic, two-toned fibers. Their metallic handles are also waterproof. 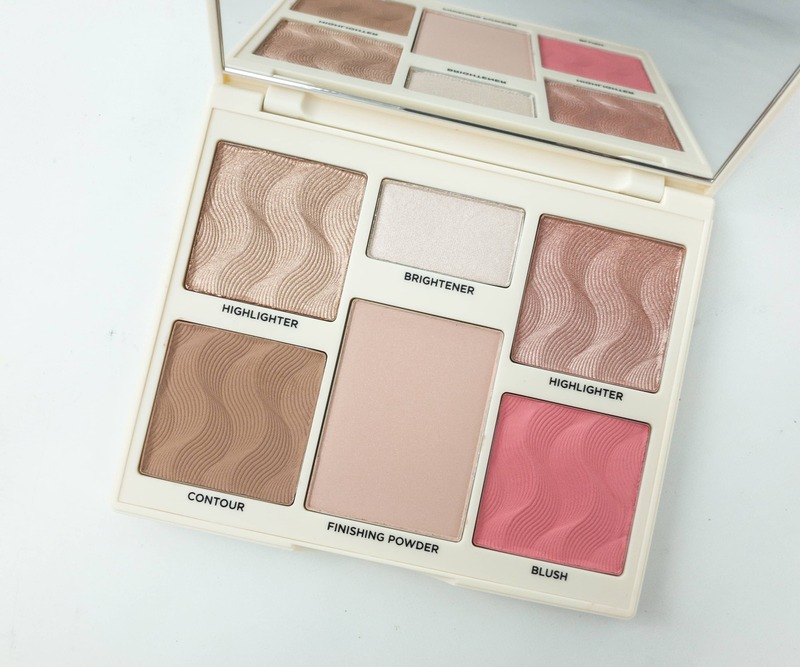 The soft glow blush works wonderfully with highlighters. 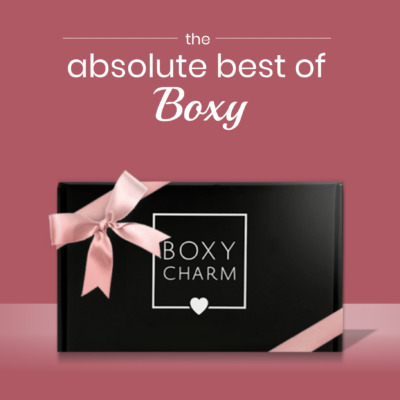 The fibers are of genuine quality and are not irritating to the skin. The product sticks to it pretty fast too. One dab goes a long way. 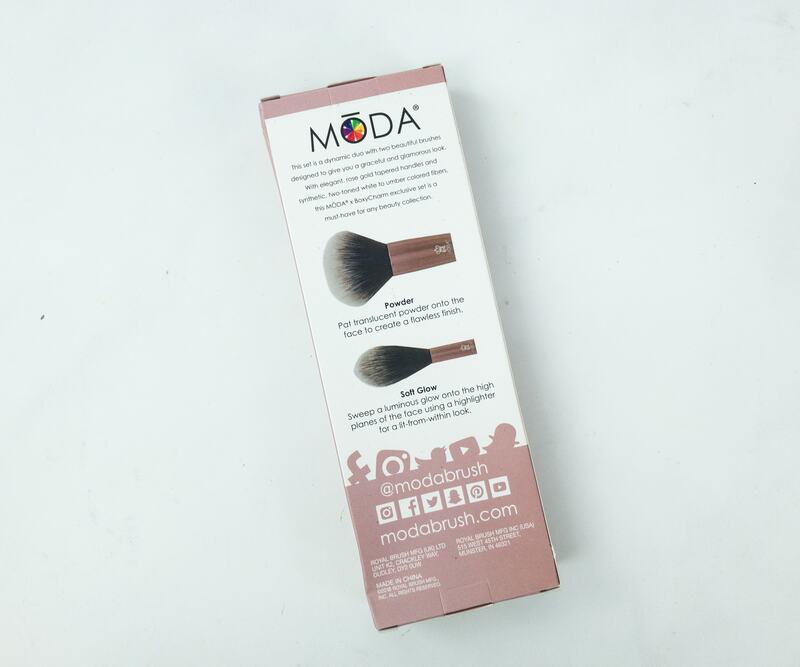 This powder brush has thick and bundled bristles, secured with the sturdy aluminum ferrule. 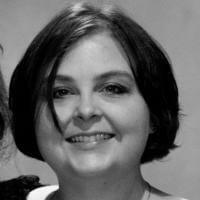 It applies easily and works well with mineral powder. 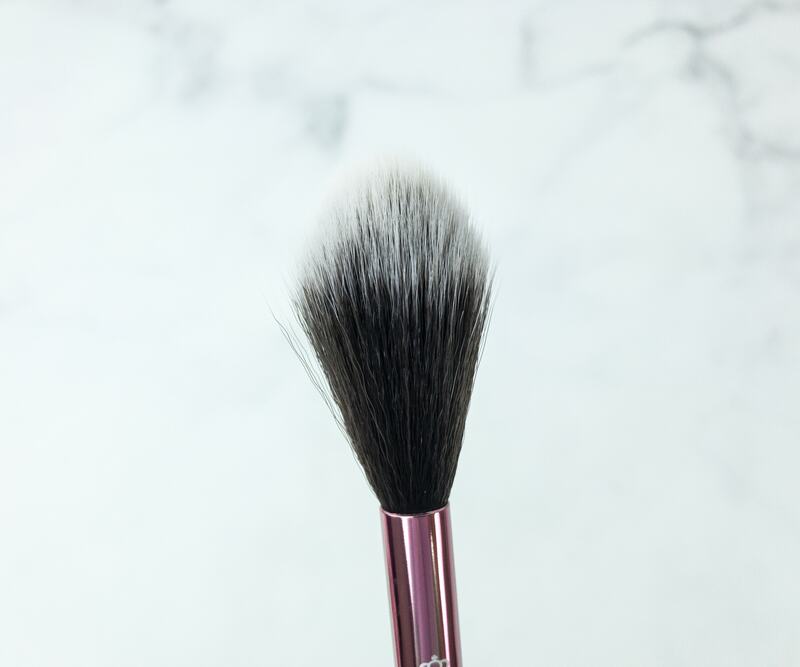 One simple circular motion with this brush gives a flawless finish. All subscribers will receive these brushes. Wander Beauty Lift Off Purifying and Brightening Peel Off Mask ($34) This multitasking peel off mask contains acai, goji berry, blueberry, lychee, mangosteen and green tea extracts that helps in purifying and replenishing dull skin. 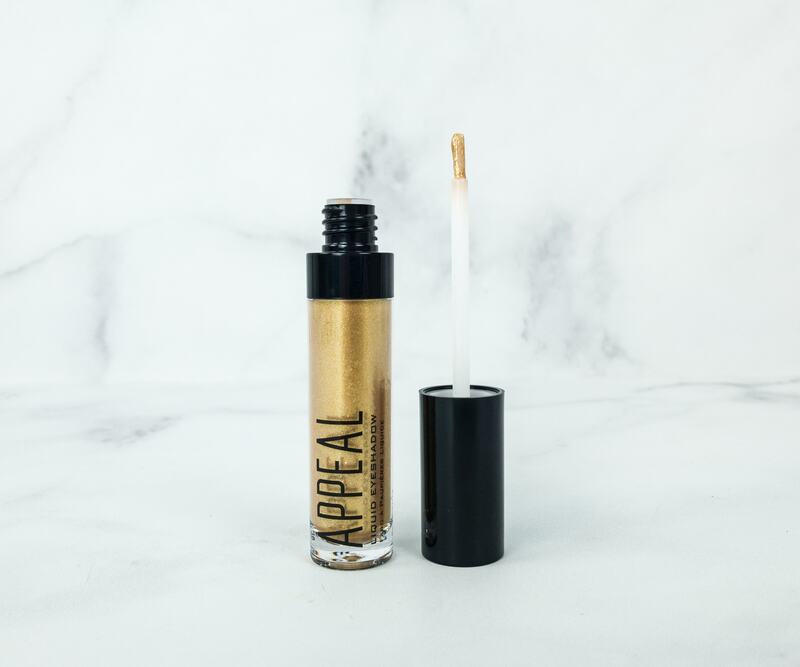 This skin wonder is easy to apply. You just have to use a liberal amount and make sure to avoid the eye area. It quickly dries and peels off easily. I love how it worked for me. 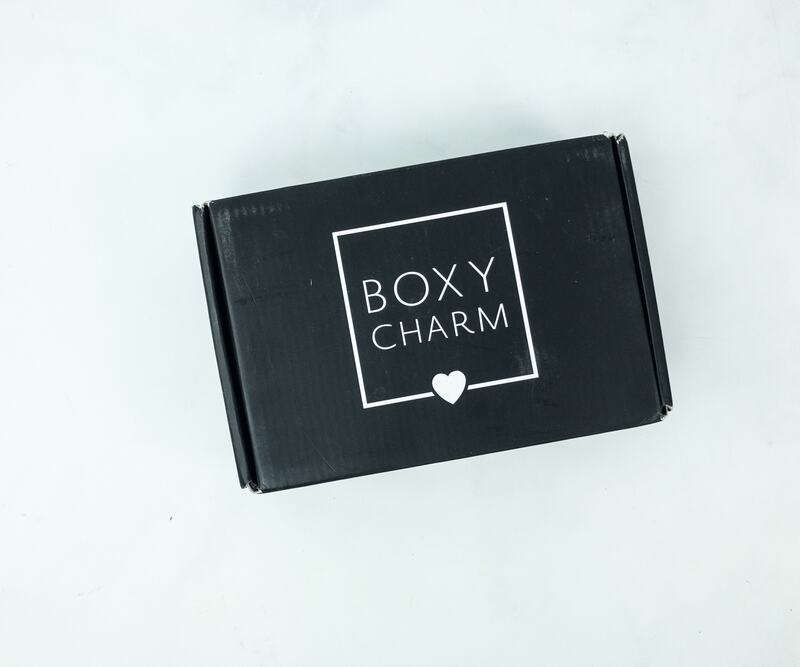 It minimized the appearance of pores and detoxified and awakened my dry, dull skin. All subscribers will receive this item! 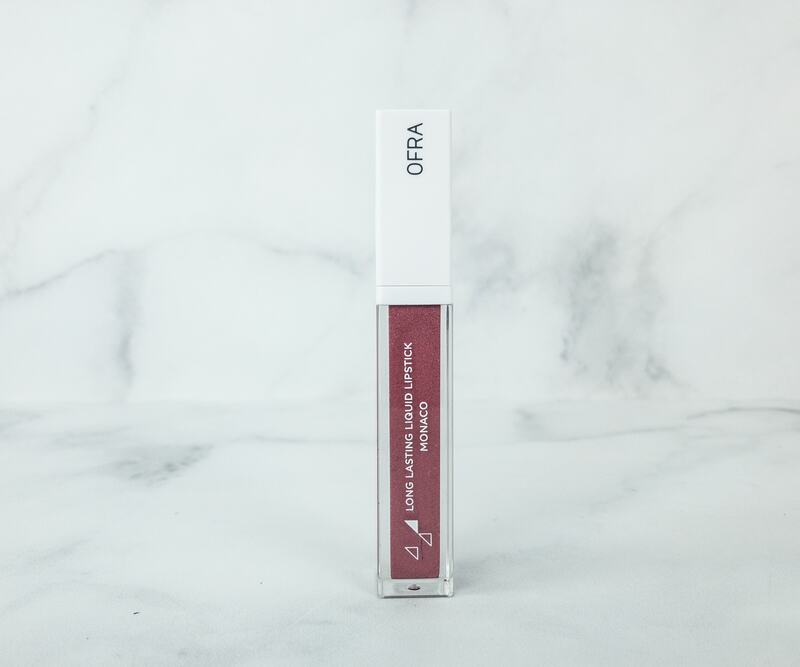 OFRA Liquid Lipstick in Monaco ($20) I don’t usually get all I want in one lipstick, but when I do, I really appreciate it. 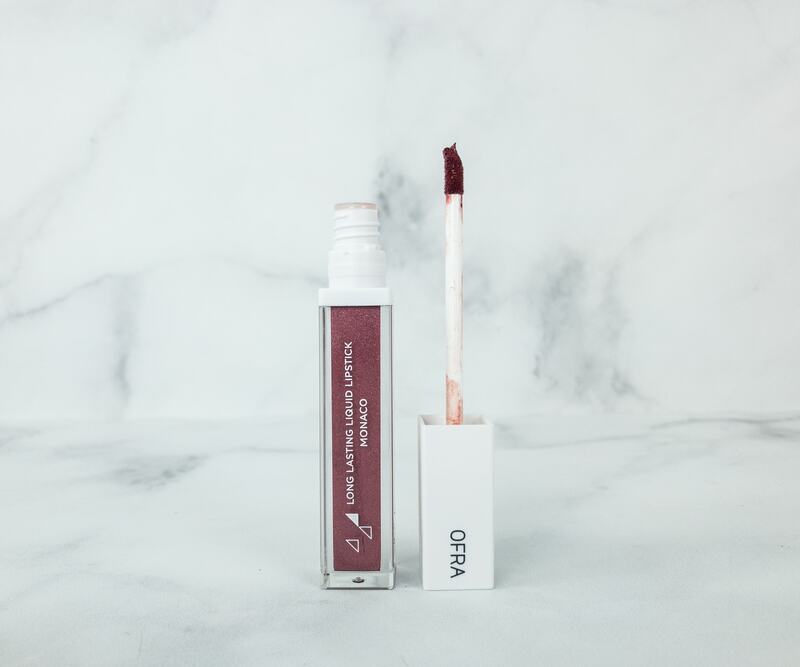 Just like this one from Ofra! From the color to the texture and to the longevity, I simply adore everything about this lippie! Monaco shade is described by Ofra as “an icy cool pink with a metallic finish.” It has a nice formula that doesn’t wear off or smudge easily and is very much comfortable to wear. My lips also felt moisturized and never dried out. 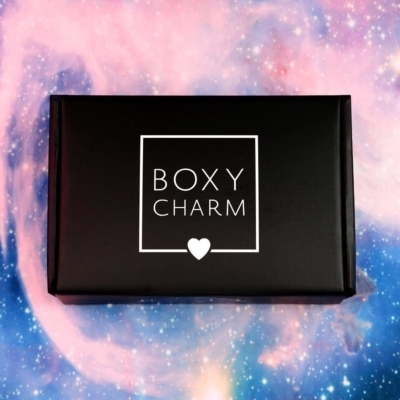 Subscribers will receive this or an ORYZA Beauty lip gloss. 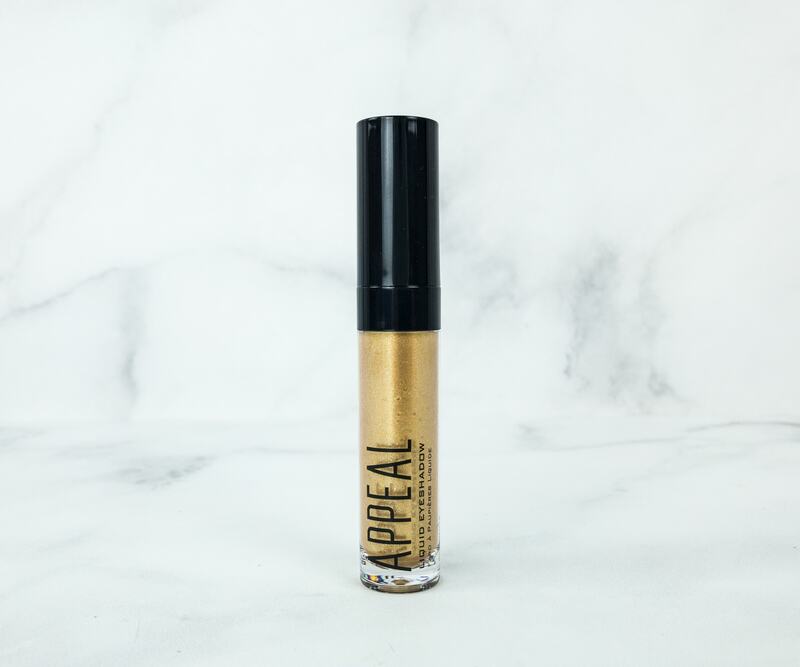 Appeal Cosmetics Liquid Eyeshadow ($21) This liquid eyeshadow is gold! It’s what my vanity kit has been missing all along! It gives a knockout appeal to my fair complexion. It also lasted the whole day without the need for touch-ups. The wand with a cute brush applicator makes it easy to fill in the gaps at the corner of the eyes and lid lines in one smooth slide. Also, the rich gold color is highly pigmented and is shimmery when applied. I tried using it alone and as a topper and both worked just as beautiful as the other! 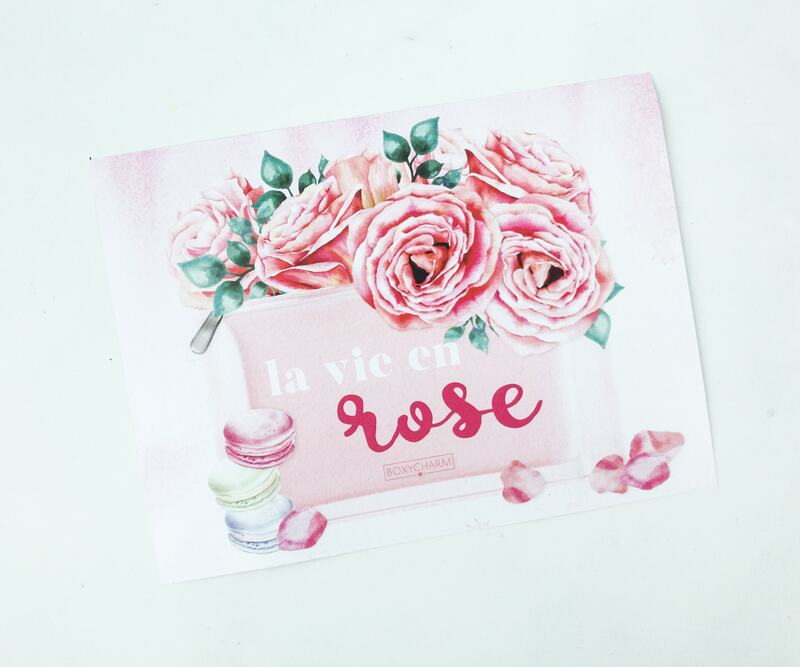 Subscribers will receive this or a mascara from Manna Kadar. My travel vanity kit is now complete! With all these multitasking products offered this month, I am totally prepared for long trips. 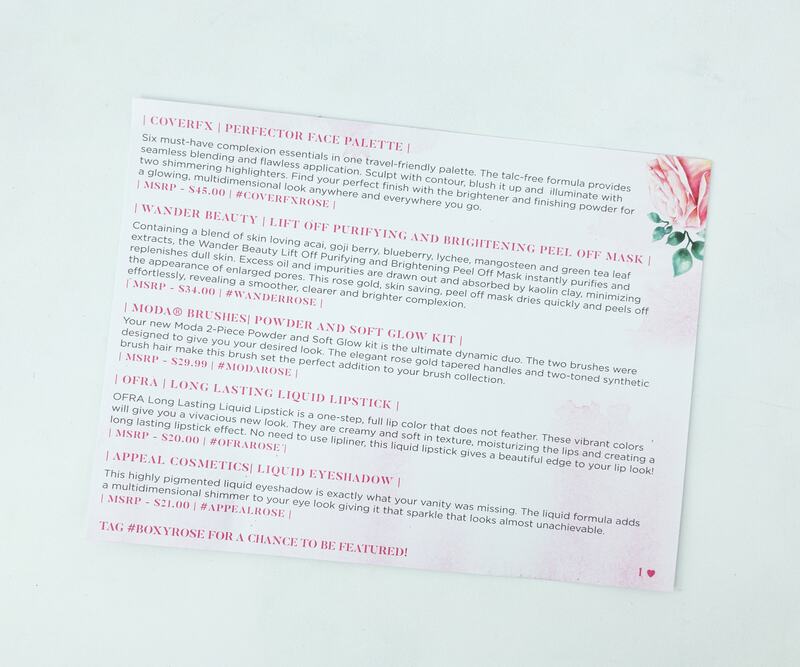 The Purifying and Brightening Peel Off Mask is all I need to pamper my skin and feel relaxed while the Perfector Face Palette has everything I need for a complete, dazzling makeup look. 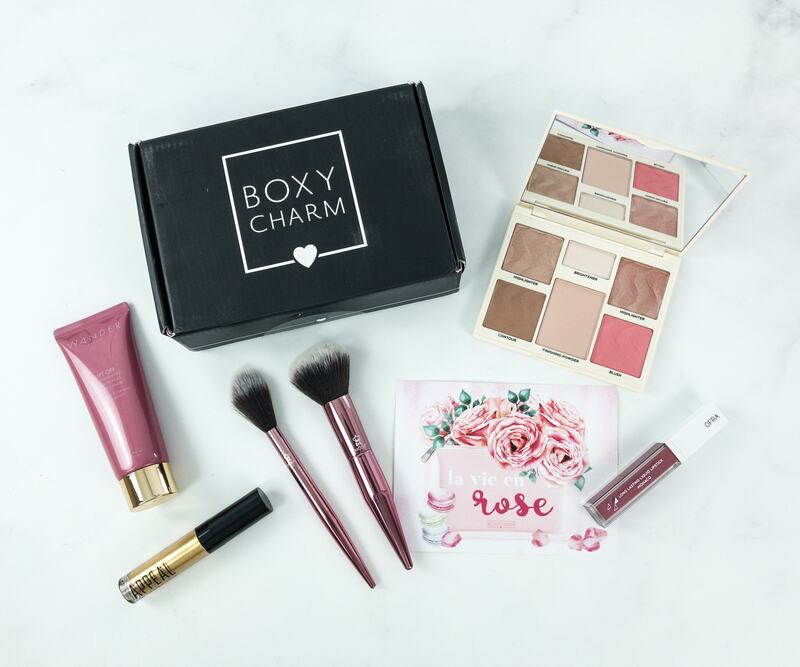 The long-lasting liquid lipstick and eyeshadow are also the perfect tools that will make me picture-perfect ready all the time. I’m happy with the variations I got and I’m loving the cute spring theme too!